With its roots firmly set in the transition between the golden age of the 1920’s and the Great Depression, Big Bear has a history as rich and interesting as its mountainous landscapes. Read on to learn more about the intriguing local museums in Big Bear that are selflessly dedicated to sharing the area’s history with locals and visitors alike. The Big Bear Valley Historical Museum, or the Eleanor Abbott Museum, showcases how this dynamic mountain town evolved from the work of the Peter Pan Woodland Club and D.P. Terry of Beverly Hills with the town’s first store (now the present site of the Community Services District offices) in 1929. From there on, the store changed hands until it became dedicated as a museum in 1982 and was opened to the public. Named for Eleanor Abbott, the late Big Bear Valley Historical Society Leader who served from 1976 until 1978, the property was acquired as a direct result of her enthusiastic efforts. Since then, it has undergone restoration and has hosted multiple authentic, antique local buildings that have been preserved in a similar likeness. An hour’s drive Northwest from Big Bear, lays the California Route 66 Museum. This museum has dedicated itself to representing the historical and modern significance of U.S. Highway 66. It is because of this that Route 66 has had an enormous impact on our culture, national development, and more. Lastly, the San Bernardino County Museum is Southwest of Big Bear. It takes about an hour to get there, but the drive is worth it. The museum holds three floors of exhibits on the natural and cultural history of the San Bernardino region, which include an Education Center, an Exploration Station, and gardens that showcase native cactus and other plans. Additionally, the citrus groves make for a romantic stroll. 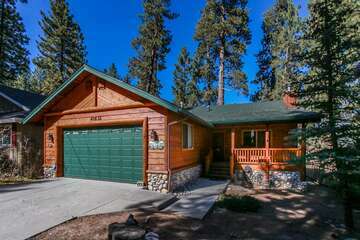 Big Bear Cabins – See the Best of San Bernardino! 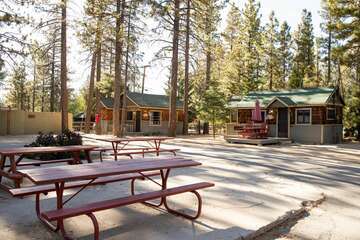 Our cabins are ideal for exploring the best of the San Bernardino area, from Big Bear to the San Bernardino National Forest. Still find yourself curious to learn more about what’s around here? Just ask our team of vacation planners to share their local knowledge with you and make cabin recommendations based on your travel plans. 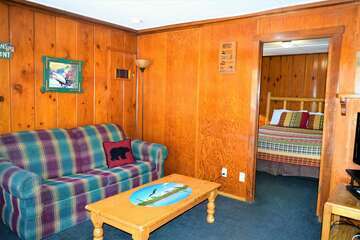 Contact Big Bear Cabins today and let us help you plan your vacation to create memories for you, your friends, and family!